Best known as one half of the comedy duo Laurel and Hardy, the American comedian and actor Oliver Hardy was born 18th January 1892.Laurel and Hardy were one of the most popular and critically acclaimed comedy double acts of the early Classical Hollywood era of American cinema. Composed of thin Englishman Stan Laurel (1890–1965) and large American Oliver Hardy (1892–1957), they became well known during the late 1920’s to the mid-1940’s for their slapstick comedy, with Laurel playing the clumsy and childlike friend of the pompous Hardy. They made over 100 films together, initially two-reelers (short films) before expanding into feature length films in the 1930s. Their films include SONS OF THE DESERT (1933), the Academy Award winning short film The Music Box (1932), BABES IN TOYLAND (1934), and WAY OUT WEST (1937). Hardy’s catchphrase “Well, here’s another nice mess you’ve gotten me into!” is still widely recognized. 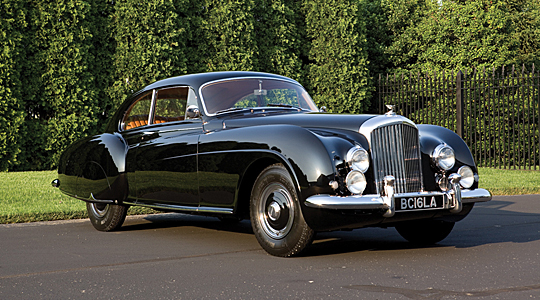 Best known as a manufacturer of luxury automobiles Bentley Motors Limited was Founded 18th January 1919 by W. O. Bentley. Bentley had been previously known for his range of rotary aero-engines in World War I, the most famous being the Bentley BR1 as used in later versions of the Sopwith Camel. Before World War I, Walter Owen Bentley had been in partnership with his brother Horace Millner Bentley selling French DFP cars, but he had always wanted to design and build his own range of cars bearing his name. 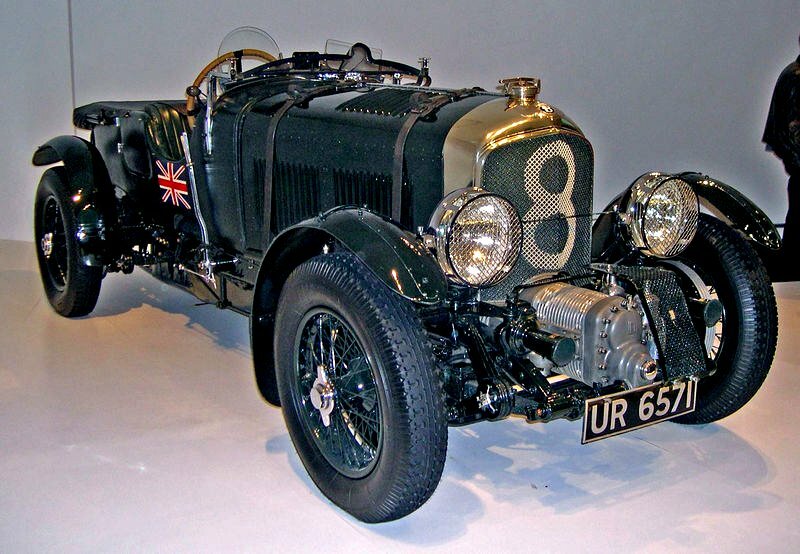 In August 1919, Bentley Motors Ltd. was registered, and a chassis with dummy engine was exhibited at the London Motor Show in October of that year. An innovative 4 valves per cylinder engine designed by ex-Royal Flying Corps officer Clive Gallop was built and running by December, and orders were taken for deliveries starting in June 1920; however, development took longer than estimated, and the first cars were not ready until September 1921. Their durability earned widespread acclaim. Appearances were made in hill climbs and at Brooklands and a single entry in the 1922 Indianapolis 500 mile race driven by Douglas Hawkes finished at an average speed in excess of 80 miles an hour. Richard Archer, British singer and guitarist with English indie rock band (Hard-Fi was Born 18th January 1977. Formed in Staines, Surrey in 2003. The band’s members are Richard Archer (lead vocals and guitar), Ross Phillips (guitar and backing vocals), Kai Stephens (bass guitar and backing vocals) and Steve Kemp (drums and backing vocals). They achieved chart success with their third single, “Hard to Beat” and then followed by other successful singles such as “Cash Machine” and “Living for the Weekend”, which all reached top 15 in the UK Singles Chart. Their debut album STARS OF CCTV was released on 4 July 2005, and although receiving critical acclaim (NME called it the Album of the Year and it was nominated for the Mercury Prize and two Brit Awards; Best British Group and Best British Rock Act), it didn’t reach No. 1 in the UK albums chart until six months later on 22 January 2006. It originally entered the charts at number 6. The band’s second album Once Upon a Time in the West was released on 3 September 2007 and reached number 1 in its first week. Their third album Killer Sounds, which features the singles “Good for Nothing”, “Fire in the House” and “Bring It On”, was released on 19 August 2011 and debuted at number 9 on the UK Album Chart. Although Hard-Fi are generally considered part of the indie rock scene, they have stated that they are also heavily influenced by soul and dance music.